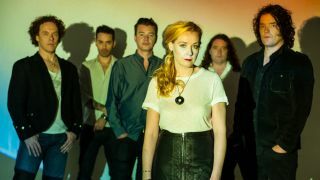 Anathema have released further details about their upcoming album The Optimist. It’ll be released on June 9 via Kscope and will be the follow-up to 2014’s Distant Satellites. Daniel and Vincent Cavanagh, along with drummer John Douglas, singer Lee Douglas, bassist Jamie Cavanagh and keyboardist Daniel Cardos recorded The Optimist over the winter with producer Tony Doogan. And Vincent says that Doogan’s influence on the album was invaluable. He says: “He suggested that we record as a live band, which we hadn’t done for years. Having played a few tunes on the last tour, we were ready for that. Daniel Cavanagh says the idea behind The Optimist came from the cover art for their 2001 album A Fine Day To Exit. He says: “I suppose you might say the album is semi-autobiographical because this time we used a surrogate. “We put sound, feelings and crucially, our own hopes and fears into another person and made him the subject of the songs then weaving my own internal monologue into the narrative of The Optimist. Vincent adds: “The guy who disappeared – you never knew what happened to him. Did he start a new life? Did he succumb to his fate? It was never explained. See the cover art, tracklist and a teaser trailer for The Optimist below, along with a list of Anathema’s 2017 tour dates.